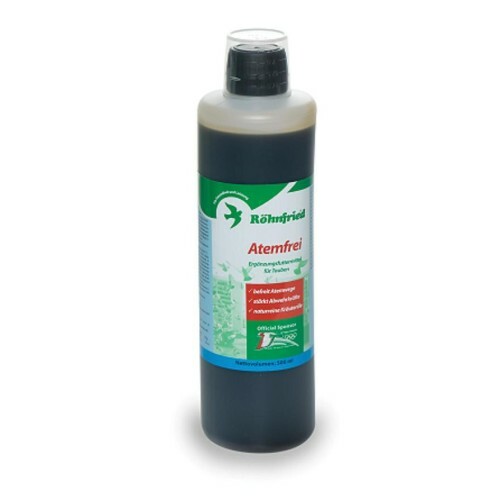 Atemfrei 500ml - respiratory diseases - by Rohnfried the functional feed supplement with the combination of liquorice and essential oils has a stimulating expectorant and to the whole metabolism of the bronchial system. Atemfrei supports the treatment of respiratory diseases and strengthens the body's own defenses in the respiratory tract. - In the racing season for competition flights on two days at the start of the week. 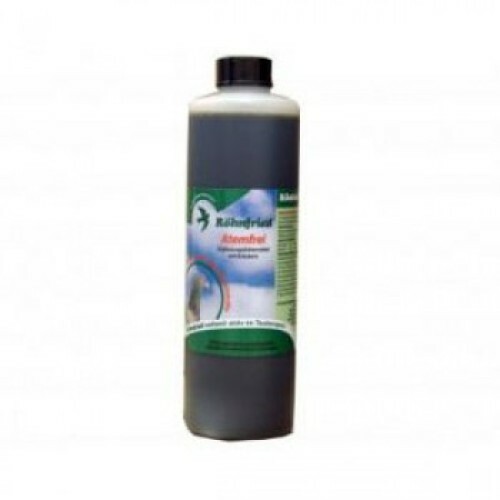 - To support the treatment of respiratory disease for 5 to 10 days to apply daily. Atemfrei can be administered via the drinking or the food. The dose may be doubled for extra loads.